Long pepper has a taste similar to black peppercorns, only much more intense and with more heat. Dried catkin, roughly 1 inch in length, also referred to as Indian Long Pepper. 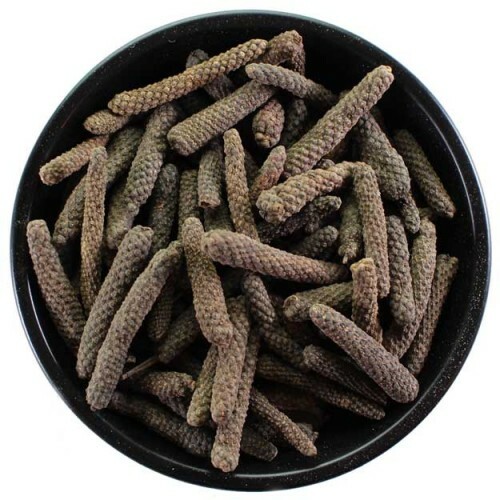 Long pepper is similar to black peppercorns, only much more intense, and more heat. They also have a bit of earthiness with some floral notes. Break in half, or coarsely grind. Use at a rate of 1 teaspoon per 5 gallons in the last 10 minutes of the boil.